Started with a piece of rusty scrap sheet that I had lying around and wire-brushed it up. 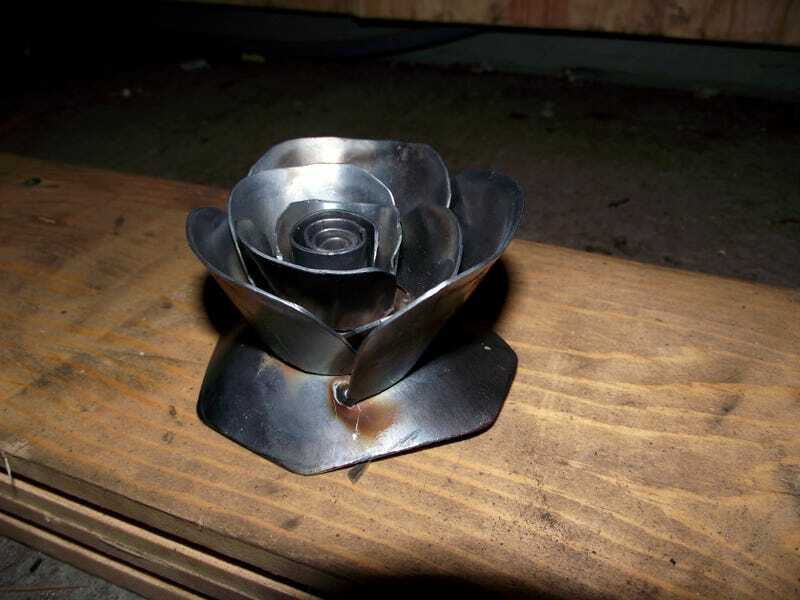 Next I cut little petals out with a guillotine and bent them in a vice. Then I welded them to a little conical base I'd made with a hole in the middle. That hole is important as you need to weld the final spiral from the underside. Started at 22:20, finished at 01:05. Injury report: one cut on thumb, one cut on forefinger, one cut on palm of hand and a couple of little burns (teaches me for welding in short sleeves).